I am excited about this recipe. I love buffalo chicken everything. Ok, I know buffalo chicken everything has been an obsession in the cooking world for a while now. I am still always looking for new ways to use buffalo sauce and blue cheese in a recipe. 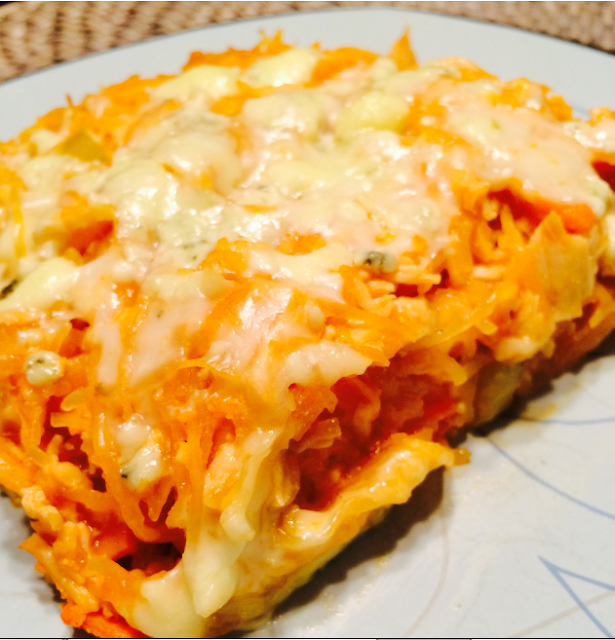 My Buffalo Chicken Spaghetti Squash Bake is a lighter, healthier way to enjoy the flavors of wings. 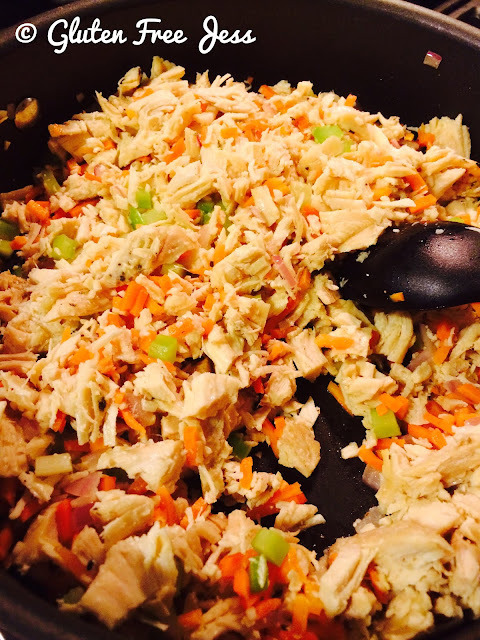 Cook 3 chicken breasts and shred or chop into very fine pieces. I cooked mine in the slow cooker.